Being able to speak is important...being able to listen is more important. If you can truly listen to what others are saying, you will be able to establish an unlimited amount of strong and long lasting relationships. Your ability or inability to listen, will most definitely affect the success, and the number of relationships you will have in life. We have all heard "actions speak louder than words," and when establishing relationships with others it is crucial we are aware of what others are doing. If you find yourself in a relationship and you have no idea where it is headed, it is time to take a step back and visually observe the direction in which it is headed. Your eyes can provide you a great insight into the strength and longevity of your relationships. This strategy can be extremely difficult at times, however the importance of embracing the opinions and beliefs of others can be the determining factor of whether a relationship survives or not. You might not always agree with somebody with whom you have a relationship, but you should respect their beliefs and opinions, and unequivocally expect the same in return. A relationship where differences in beliefs and opinions are not allowed to have a negative effect on the overall relationship has the ability to be strong and enduring. Before passing judgment or placing blame, please put yourself in the shoes of another. If you can utilize this strategy to understand something before reaching a conclusion, you will be much more likely to be accurate in your assumptions, as well as avoid potential irreversible damages to your relationships. Your compassion and understanding will always trump assumptions and judgments...even if they prove to be accurate. 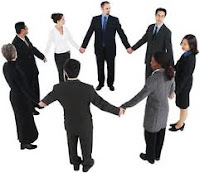 Relationships are all about teams and groups and working together. As such, you should share in the successes and failures of your relationships. When you celebrate and console the people in your relationships, you gain a deeper appreciation and understanding into what makes your relationships tick. Relationships will also inherently grow stronger with every success and failure; if and only if you shoulder the successes and failures together. Every time you give in a relationship you are strengthening your bond. Once a relationship has been established, it must continue to grow, or it will eventually dissolve. One of the best ways to continue to grow a relationship...is to give. The more you give and sacrifice in a relationship, the more you will ultimately get in return. The beauty of having strong and stable relationships is that when you give and sacrifice, you are really not sacrificing because the value of the relationship greatly out weights any amount of sacrifice. One of the most important pieces to any strong relationship is your ability to add and bring value to the relationship. In order for you to be able to add and bring value, you need to acknowledge and respect the goals and desires of others. Once you become a contributing piece to the goals and needs of others, your relationships will only be stronger and more plentiful. There is nothing more powerful than a simple "thank you," or "I really appreciate your help." More times than we realize, we are using and asking for the help of others. No matter how small or how trivial the help or advice may be, it is crucial that you express your gratitude and thankfulness for the help of others. Think how good it felt the last time somebody thanked you or recognized you for your help...try to replicate this feeling for others as much as possible. Lastly, many people view a relationship as a one sided entity. As with many things in life, there are fortunately two sides to every relationship. For you to have the best, strongest, and longest lasting relationships, you must recognize your own impact on the overall relationship. If you have not established a strong working relationship with yourself, then it is going to be extremely difficult to connect with others in a productive and useful way. You must build a strong and solid foundation with yourself before you can get the most out your relationships. I hope this list is helpful as you continue to establish and build relationships. 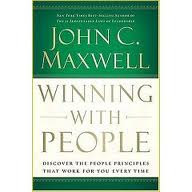 "Winning with People," by John Maxwell, is a book we read last year in book club. This is a fabulous book about relationships and how to effectively manage the many intricacies of relationships. If you have any additional strategies to help others to establish and build relationships please leave a comment. Thank you. I commend you on your efforts to apply these more in your own life, you really have been taking these things to heart. And I think that's important, too, not just that you have ideas to change the world, but that you're open to changing things about yourself along the way.